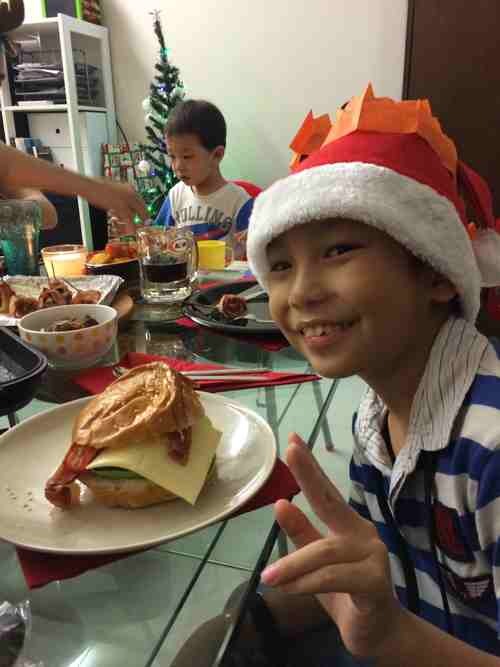 Christmas is right around the corner. In fact, it’s this weekend! If you’re thinking of what you can do to have fun with your family or friends (apart from coming to Heart of God Church for our awesome Christmas @ Imaginarium services), what about catching this season’s latest “in” movie, Rogue One: A Star Wars Story with them? Maybe you’ve considered it, but perhaps you’re just not familiar with what this whole “Star Wars” thing is all about. Don’t worry, it’s not your fault. Star Wars may be an awesome movie franchise, but with now close to 40 years of history, the Star Wars saga and story has developed and expanded way more than George Lucas could have possibly imagined when its first film was released back in 1977. So don’t fret if you’re clueless about this whole galactic affair. We’ve put together a simple guide to Rogue One. But if you are really clueless about the whole Star Wars thing, we recommend you read this Star Wars for Beginners blogpost written by a die-hard Star Wars fan from HOGC (who also happily contributed to the writing of this article). Now with all of that out of the way, let’s talk about Rogue One shall we? Don’t worry, this is a spoiler-free article! It’s a short post that will only include explanations and details that are relevant to Rogue One! But it should be sufficient for you to impress all your “Star Wars friends” this Christmas. (Or at least not leave you looking clueless in the theatre) Are you ready? Let’s begin. 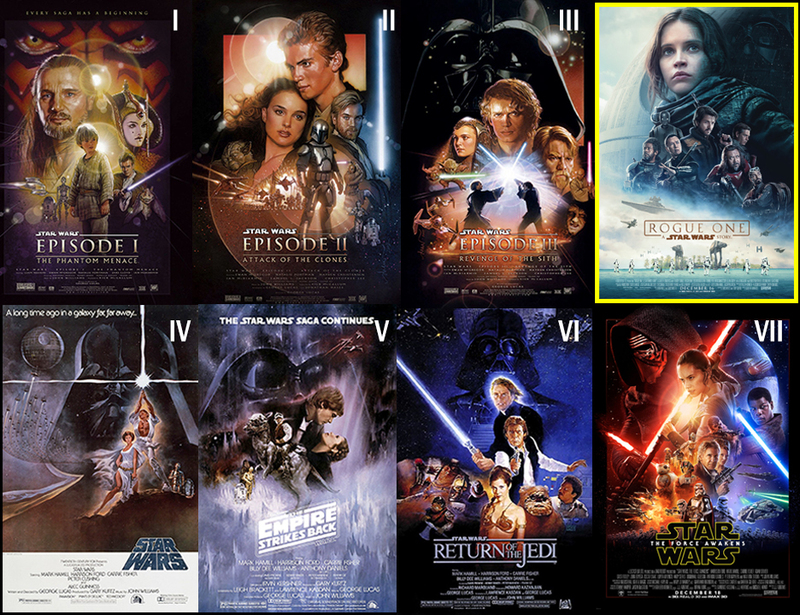 As you can see, there have been 7 films released so far in the Star Wars saga – 3 in the Original Trilogy (Episodes 4-6), 3 in the Prequel Trilogy (Episodes 1-3) and 1 in the Sequel Trilogy (Episode 7). So where does Rogue One fall into place? Rogue One: A Star Wars Story is the first of multiple standalone films that will be released as part of an Anthology series, which will tell origin stories within the Star Wars universe. Hence, it does not fall into the same timeline as the upcoming sequels. And that is why it isn’t Episode VIII! As can be seen in the diagram above, the story of Rogue One takes place after the events of Episode III and happens right before Episode IV. It will tell of a group of rebels and their quest to steal the Death Star’s plans – a plot device heavily featured in Episode IV. So if you have a little time on your hands, maybe watching Star Wars Episode III and IV might help you prepare a little for Rogue One? By now, you would know that the entire Star Wars story is centered around a war (hence the name). And this war will probably be featured even more heavily in Rogue One: A Star Wars Story. So in order for you to not be confused when you’re at the cinema this Christmas, let’s talk about the parties involved in this conflict. There are 2 main sides – the Galactic Empire and the Rebel Alliance. As to which side you’re on, I have no say about; but generally, people consider the Empire to be the bad guys and the Rebels to be the good guys that are trying to overthrow them. Let’s talk about the Empire first. There are many bad things that you can know about the Empire, but in short, they were basically the galaxy’s main governing body during the events of the Original Trilogy. Under this Imperial rule, the galaxy has since been oppressed by the dictatorship of its Emperor Palpatine, who enforced his authority through intimidation and fear. Never backing down despite overwhelming odds, the Rebels eventually managed to stand up against the evil Emperor and his army, restoring not only democracy, but also peace to the galaxy. Notable allies in the Rebellion include: Princess Leia, Han Solo, Luke Skywalker and of course our latest heroine from Rogue One – Jyn Erso. In the world of Star Wars, the Force is an energy field that can be harnessed by an individual. When trained in the Force, a person can achieve superhuman feats, such as jumping a few storeys high, moving objects (and people) with just their will and even “influence the weak-minded” to do as they say. But where is the Force found? Everywhere. According to Obi-Wan Kenobi, a well-known Star Wars character, “It’s an energy field created by all living things. It surrounds us and penetrates us; it binds the galaxy together.” From this, we can tell that the Force exists everywhere in the fictional galaxy. So does that mean everyone in the galaxy has the ability to use its power? Not exactly. There are people who are more sensitive to the Force and people who are not. The people who usually doubt its existence until experiencing it for themselves. But for those who are sensitive, they are more inclined to learning its ways and tapping into it. One such individual who is strong in the Force is none other than Darth Vader. This fan favourite is the right-hand man of the evil Emperor and is probably one of the most iconic movie villains of all time. The reason why I want to talk about him is because after a decade, he is going to return to the big screen through Rogue One: A Star Wars Story. So do not be surprised if you see Star Wars fans freaking out in the cinema when he shows up! Because he is one of the many things fans are excited to see in the new film. So with all of that background knowledge in our heads, where does that leave us? We know that Rogue One: A Star Wars Story happens right before the events of Star Wars Episode IV. Imperial flags reign throughout the galaxy, a dangerous super weapon is nearing completion and a Rebellion is slowly but surely rising to resist the evil ruling the galaxy. What will it take for this darkness to be destroyed and for freedom to be restored to the world? We shall find out. So if you’re wondering if there’s something fun you can do together with your family & friends this Christmas, why not take them to a galaxy far far away? Experience the story of Rogue One and learn of its heroes and their adventures. May the Force be with you. All images’ copyright belong to Lucas Film.